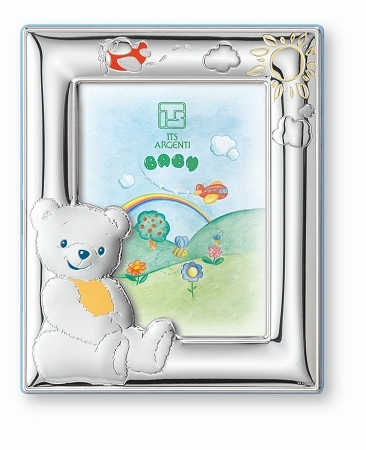 Finest Picture Frame in STERLING SILVER Featuring a TEDDYBEAR. 4" x 6". Hand crafted in ITALY. Our children's collection comes directly from Italy where the highest quality meets class and style. The front is hand made from .925 STERLING SILVER featuring a sweet TEDDYBEAR. The back is made from wood. PINK or BLUE back. Special space for engraving. Size 4" x 6"" . 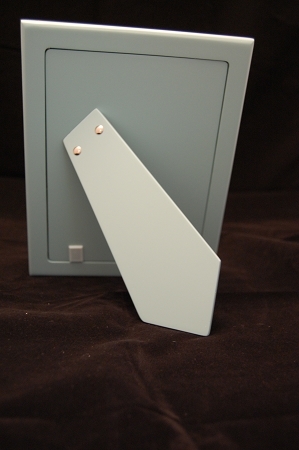 Slide tab enclosure back.